Oh! How have the mighty fallen! 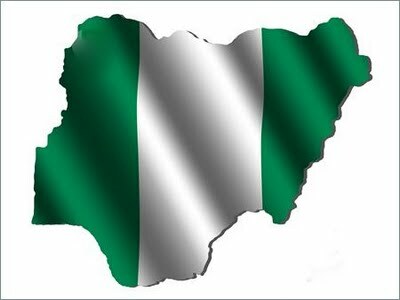 Oh Nigeria, thou was slain down from thy high places and the weapon of your warfare has perished before your eyes. Your untrained soldiers who are molesters of unarmed civilians, have lost their touch and their weapon of war perished. They hunt the coalition of Lions without provocation, now the Lion in the creek have raised a standard against them and even with their external macheneries, they sink and have themselves drown and when they are deployed back to the creek,they cry aloud in fear. When their jihadist commander sights his cowards perishing, he shouts with a horn of shame THE WALLS OF THE FALSE GIANT OF AFRICA HAS FALLEN. See the false Giant of Africa fallen to her knees, as the center could not hold anymore. The Wings of the fake Eagle, has being broken. The Zoo where a jihadist without Certificate rules,is crumbling before the eyes of the World. He was forcefully made a King, by Britain hunters of the Eagle and the Lion King who has being caged in their dungeon. Now there is recession and intense hunger in the Land and the Poor are suffering. Investors are running away and foreigners see them as outcast. Gnashing of teeth is heard from every Household and people have being forced into hell here on earth. Where is Britain the pillar of Nigeria? Britain the creator of Nigeria, where is thy wings? Even the economy of the masterminder of the Genocide against the Biafra people, has crumbled and they are staggering to stand up. Britain thou has committed a crime against humanity and you shall pay for it. Britain is crying aloud and want to know why, they can no longer get their stolen underground supply of Crude Oil from BiafraLand,their representative say to them, THE WALLS OF THE FALSE GIANT OF AFRICA YOU CREATED HAS FALLEN. Biafra the real Eagle, have shown her children their root and they are heading to their nest. The Pharaoh of the 21st century called Muhammadu Buhari,has refused to let the Children of Biafra go. As he keeps on standing on their way, various plagues befall the Land of the false Giant Of Africa. The Joshua of our time Nnamdi Kanu has resounded it on the only ordained platform Radio Biafra to let Chukwuokikeabiamas Children go, instead of this Pharaoh to heed to his piece of advice, he caged him in his dungeon. Now the Children of Biafra are seriously moving to the Land of Biafra filled with Milk and Honey, as humanity has risen to speak against Pharaoh and his aliens, the WALLS OF THE FALSE GIANT OF AFRICA HAS FALLEN. Mama Africa has risen against this false artificial creation parading as the Giant of Africa. See the evil politicians, receiving Slaps from their bloody corrupt political sits, to the amazement of the World. Saboteurs used to campaign for a scam called BBOG,are now covering their faces in shame. Supporters and Coaches of their playground are now throwing their offers to their faces. The Lion of the tribe of Biafra Nnamdi Kanu,told them they will return in shame after serving the Jihadist and the Zoo, now see them gnashing teeth. The Lion King told them that with a jihadist President the Zoo must fall, they enviously detained him, rather than fighting against the jihadist without certificate. The Children of the false Giant look out through the windows of shame and say to themselves, indeed THE WALLS OF THE FALSE GIANT OF AFRICA HAS FALLEN. This reads like prophetic gospel message to the failed and cursed contraption called Nigeria. I'm so proud of the creative, informative and life-saving articles by Biafra family writers. Great piece by Ibeh Gift Amarachi. Thank you and keep up the great work.